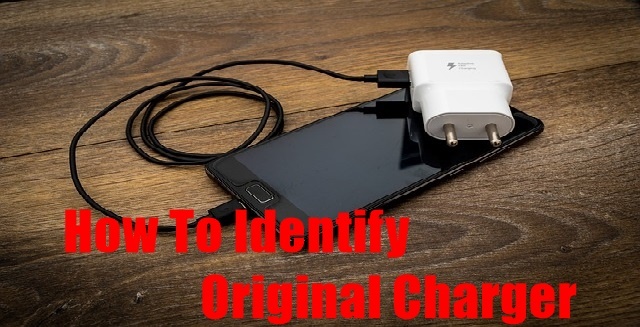 How To Identify Original Charger: If you use a mobile then you should know about how to identify the original charger because the fake charger causes great damage to your mobile phone. Today's smartphones are quite popular and their demands are increasing day by day. Whenever a user buys a new mobile, there are also accessories like a charger, headphones, even though the company's chargers with mobile are real but after some time it gets spoiled. In this situation, the user needs to purchase a new charger from the online or offline market. In the market there is a lot of counterfeit goods, so the chargers are not untouched by it. If you accidentally buy fake chargers then you may have to suffer a lot of it. Tell you that the problem of sudden fire or battery burglary in mobile also comes from the charger. If you do not use the original charger, then it affects the battery life of your mobile phone and its performance. If you want to avoid unnecessary accidents, then we recommend that you do not use a fake charger at all. Regardless of whether Samsung or another company's real or fake charger is a bit confusing but not impossible. You can find out the difference in real fake by following some tips. Here we are going to tell you some similar things, after knowing which ones you will be able to know the difference between real and fake chargers. When you are buying a new charger from the market, first look at his PIN. In most Fake Chargers, the size of the pin is the same as from the top to the bottom whereas the original charger has a lower side pin slightly thick compared to the above. In most cases, it has been seen that the charger is perfect but its USB cable is faked. So look at the length of the cable to detect the USB cable, because the cable of the Fake Charger is slightly longer, and if the color of the port is slightly dark then it can be fake. Also, check the print to know the reality of a charger. If it has Made Made in China and A +, then you have to understand that the charger is a duplicate. After checking the print, see the company's name or logo because the original and duplicate can be traced largely from the logo. In the fake charger, the spelling on the logo and the difference in the mark can be seen. The problem of being hot in the fake charger can be seen. When a duplicate is used repeatedly for charging, it gets heated while the original does not have such a problem. You can find duplicate easily by following the above-mentioned things in the offline market, but now you want to know how to locate the original on the online site, the first thing you need to do is go to the company's official website like Samsung or online shopping site Amazon or Flipkart Should buy the charger. Additionally, you should have the below will see ratings and review under the product online site if a product is more than 4 rating below are the real to chance than you products with its review. If you have a positive review of the product then you should buy that product. So now you've probably figured out that how to identify Original charger if you are buying the charger from an offline store you need to take care of was five points above. However, if you are a Buy online website, you should read the ratings and review under the product.